While Chael Sonnen and his flunked UFC 117 drug test continue to dominate the MMA headlines, the Gambling Gods would like to remind you that “UFC 119: Mir vs. Cro Cop” takes place tonight in the Hoosier State. A heavyweight scrap between former champion Frank Mir and Mirko “Cro Cop” Filipovic will headline the pay-per-view broadcast. Although CC suffered a last-second eye injury just before he wrapped camp, the striker was cleared earlier in the week and will be allowed to compete. 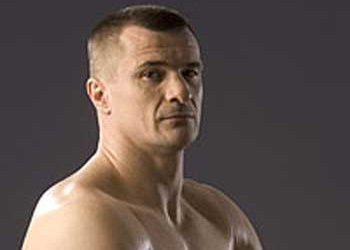 The powers that be pegged Mir a 2.5-to-1 favorite to snap Cro Cop’s two-fight winning streak and haven’t deviated too far from that number since the line first opened. The former title holder is currently listed at -260. Antonio Rogerio Nogueira will face Ryan Bader in a pivotal light heavyweight affair in the night’s co-main event. The event will be jumping off inside Conseco Fieldhouse in Indianapolis, Indiana.